Blog › Information › You may of heard of the SAS, but what about the SAA...? Have you joined your local art club as one of your New Years resolutions? 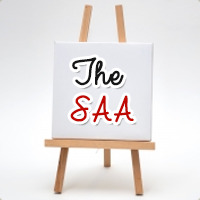 Perhaps your local Society For All Artists (SAA) is the perfect club for you to join this year! There are 1300 SAA affiliated clubs, across the UK to attend. You can get involved with your local art club and meet fellow art fans, each sharing a passion for art. If this captures your interest, why not share ideas, exchange tips and various art techniques with new friends this year. Different clubs across the UK appreciate their local artworks and art galleries discussing all the latest news and updates in the area. Many mums meet to discuss and create magical childrens wall art, with colourful and creative canvas collections produced. Brilliant Wall Art supply artwork from many of the categories discussed during SAA meetings, so why not browse our Website today and choose creative pieces to make your home your own art gallery. With so many club memberships available to adults of all ages and abilities across the UK, sign up to your local today. If you would like to find out more about our wall art range, simply contact us or sign up to our regular newsletters to receive discounts on some of our pieces. It maybe a piece you've had your eye on for a while!